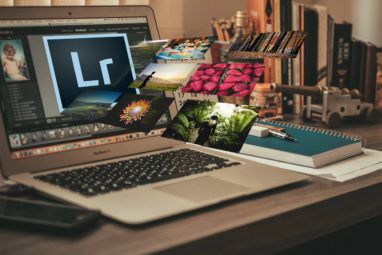 If you use Adobe Lightroom a lot, you’ll know how the application uses a lot of your computer’s resources. The larger your catalog, and the more edits you’ve made, the slower Lightroom becomes. For those without a beast of a machine, a lagging Lightroom will at some point become a frustrating bottleneck in your workflow. There are some things you can do to help remedy this problem, though. The cache is Lightroom’s temporary storage. Each time you load your 1:1 previews and adjustments, Lightroom stores that information in its cache so it doesn’t have to render those images every time you load them. By default, Lightroom’s cache is set at a measly 1GB. As you can imagine, this is quickly taken up when you’re browsing and editing large groups of photos. A larger cache, therefore, is always preferable. According to Adobe, “increasing the Camera Raw cache to 20 GB or more can dramatically increase your performance”. Though if you use Lightroom religiously, and have the space on the hard drive where your cache is stored, 50 GB or more can really make difference. To increase the size of your cache folder, go to Preferences > File Handling. Then in the Camera Raw Cache Settings, select the maximum size for your cache folder. Lightroom’s performance will always be limited by how fast the hard disk is on which your Lightroom folders are stored. The faster the disk, the faster Lightroom will be able to render those photos. So even if you need to store all of your actual photos on a slower drive, your Lightroom catalog and cache folder can be stored on something much faster. This usually means a high-performance SSD (solid state drive), instead of a slower disk-based HDD. If you store everything internally, you should always choose to use an SSD over slower disk-based drives. Most newer computers now come with SSDs as standard. But if you’re storing your Lightroom folders externally, make sure your external hard drive uses a USB 3.0, Thunderbolt, or eSATA connection. To move the location of your cache folder to a faster drive, go to Preferences > File Handling. Then in the Camera Raw Cache Settings click Choose to select the location where you want the cache folder to be stored. To move your entire Lightroom catalog to a faster drive, carefully follow these instructions on the Adobe website, making sure to back up your catalog first. As any hard drive approaches capacity, it’ll start to slow down. This is why, for Lightroom users, it’s always recommended to have at least 20% of your hard drive free. Over 50% is even better. This is especially true if your Lightroom catalog is stored on the same drive as your Operating System. The last thing you want is your entire OS slowing down. If your hard drive is fast filling up, purchasing a new hard drive Buying a New Hard Drive? 7 Things You Must Know Buying a New Hard Drive? 7 Things You Must Know Buying a hard drive is easy if you know some basic tips. Here's a guide to understanding the most important hard drive features. Read More will be a good investment that will contribute to helping Lightroom run more smoothly. This is a better option than defragging your drive in the hope that it runs faster (which is pretty much irrelevant for SSDs anyway). The amount of data stored about each of your photos in Lightroom is indeed impressive. But it’s also a hell of a job for Lightroom to keep all of this information organized to access quickly, especially if you have a library of over 10,000 images. That’s why Lightroom offers a tool to optimize your catalog. Your catalog is basically a single database that contains all the metadata and adjustment instructions for all of your photos. As you make and undo changes, move photos, etc. that database starts to become less efficient, and larger than it needs to be. By optimizing the catalog, Lightroom removes any unneeded information, and checks all the relationships between each table in the file. Lightroom can then find the information it needs more efficiently. To optimize your catalog click File > Optimize Catalog > Optimize. 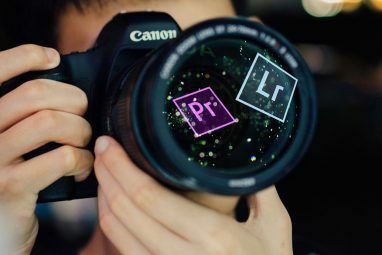 Many professional photographers 12 Most Profitable Places to Sell Your Photos Online 12 Most Profitable Places to Sell Your Photos Online If you have photos that you want to sell, there are a number of websites that can help you. Here are 12 of the best. Read More will open a new catalog for each event they shoot (File > New Catalog), so a massively oversized catalog is rarely a problem. But for amateur photographers, keeping all of your photos in one catalog can feel more organized 27+ Essential Lightroom Shortcuts for Improving Your Workflow 27+ Essential Lightroom Shortcuts for Improving Your Workflow It's well worth your time to learn a few Lightroom keyboard shortcuts. Together, they can massively speed up your Lightroom processes and make the task of managing your photos more streamlined. Read More . But there’s a trade-off in performance to be had. As catalogs grow to over 15–20k images (especially if you’re shooting in RAW), there’s a noticeable slowdown in Lightroom. The application works harder to keep everything organized. If your catalog falls into this category, it’s probably worth splitting it into two or more separate catalogs (perhaps moving all photos taken pre–2013 into a new catalog). Before doing this, always make a backup of your existing Catalog. Then from within Lightroom, select all the images you want to move to a new catalog and click File > Export as Catalog. Choose the location of your new catalog, and select your required options from the dialog box (if you want to move the original files to the new location, check “Export Negative Files”. If you want to leave the originals where they are, uncheck “Export Negative Files”. When you’re ready, click Export Catalog. If you need a more detailed walk-through, watch this video. All of the stored adjustments and metadata for the selected photos will be moved to the new catalog. You can then remove those photos from your original catalog (not from the disk). As you’re scrolling through each photo while you’re editing in the Develop module, you may notice a delay as each photo renders at full resolution. All taken together, this can add up to a lot of wasted time. One way to remove this delay is to have Lightroom render all 1:1 previews for each of the photos you’re about to edit, in advance. Initially, this does take some time (potentially over an hour if you’re working with thousands of images). But you could do this the evening before to save time the next day. To do this, go to the Library module, and select all the photos you want to work with. Ensure filters are off (by checking the bottom right of the screen), and click Library > Previews > Build All. This will start the process of rendering the 1:1 preview of each of those photos. Once done, all the previews you need in the Library and Develop modules will be rendered and ready to load instantly. You can then develop, zoom, etc. without delay. If Lightroom is still running slowly even when it has easy access to 1:1 previews, you may want to try using lower-resolution Smart Previews instead. Basically, when Lightroom doesn’t have access to your original photos, it uses Smart Previews. It lets you edit your photos without lugging around an external hard drive. Smart Previews are generally around 90% smaller (averaging around 1 MB each) than the original RAW files (which are often between 10–50 MB each). They’ll load a lot faster. If you’re using a smaller machine, such as a MacBook Air, relying on smart previews instead of 1:1 previews while you’re editing could save you a lot of time. Yes, the resolution isn’t so high (limited to around 2500px along the longest edge), but with a smaller screen, do you really need much more than that? Plus, when you reconnect your original RAW files to Lightroom, all the changes you made to the Smart Previews are applied automatically, and you can export those adjustments as usual. What’s not to love? To create Smart Previews while importing photos The Complete Guide to Importing Photos into Lightroom The Complete Guide to Importing Photos into Lightroom Lightroom you can store, organize, manage, non-destructively edit your photos - but first you need to import them. Here's how. Read More , check the Build Smart Previews checkbox. If you want to create Smart Previews for photos already in your library, go to the Library module, select the folders/photos needed, click Library > Previews > Build Smart Previews. Building these previews may take a while at first, but it’ll save you time later. Once the Smart Previews are built, you need to force Lightroom into using them instead of 1:1 previews. You can see which preview Lightroom is using by looking underneath the histogram in the Develop module. If your original photos are stored on a different drive to your Lightroom catalog, just unplug the drive where your photos are stored. As long as Lightroom still has access to your catalog, it will automatically start working with the Smart Previews. If your photos are stored internally, you’ll have to trick Lightroom by renaming the folder where they are stored so Lightroom can no longer locate them. Once all your edits are done, reconnect your external drive, or change your photos folder back to its original name. Lightroom will then be able to locate all of your photos and apply the changes as normal. Lightroom renders standard previews in lots of different modules, such as in the filmstrip and grid view. If these previews are larger than they have to be, that’ll slow everything down. To change your default preview size, go to Catalog Settings, then choose which size is best for you from the Standard Preview Size dropdown. The best size to choose will generally depend on the size of your monitor and how much of the screen your previews are taking up. Larger monitors will probably require 2048 at a “high quality” settings. Smaller screens should be fine with 1440 or 1024 at “medium quality” settings. How Do You Improve Lightroom’s Speed? Despite how sluggish Lightroom becomes, many photographers find it hard to imagine life without the application. 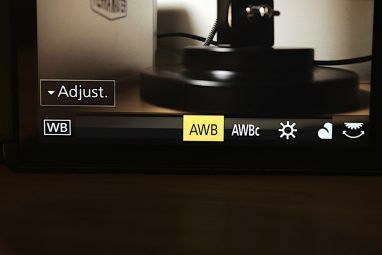 Naturally, any steps that can be taken to streamline your workflow 27+ Essential Lightroom Shortcuts for Improving Your Workflow 27+ Essential Lightroom Shortcuts for Improving Your Workflow It's well worth your time to learn a few Lightroom keyboard shortcuts. Together, they can massively speed up your Lightroom processes and make the task of managing your photos more streamlined. Read More , and help improve how Lightroom works, should be taken advantage of. But with Lightroom being so feature-rich, there are likely plenty of other ways to help keep your catalog running smoothly. If you’ve used any of these yourself, please do share them in the comments. And if you use any of the ideas in this article, let us know how much of a difference they made! If you have a lot of RAM - I have 24gb, you can make a RAM disk using part of it. I have a 6gb RAM disk which leaves plenty for the computer to use. Lightroom is set to use the entire space, but really only uses around 2gb for the cache. RAM is much faster than SSD drives and the disk will synchronise with a folder on your hard drive when the computer resets so you don't lose the cache. An alternative is a USB RAM disk. It works the same if you have USB 3.0 and has high speed RAM and also flash storage space to synchronise your RAM disk for more permanent storage.